Merely because the respondent mother is serving, it cannot be assumed and/or presumed that she is not able to take care of the minor child. In these days, so many mothers are working and still they are taking care of the children. Therefore, merely because the respondent mother is working it cannot be presumed and/or presumed that she will not be in a position to take proper care of the minor child. 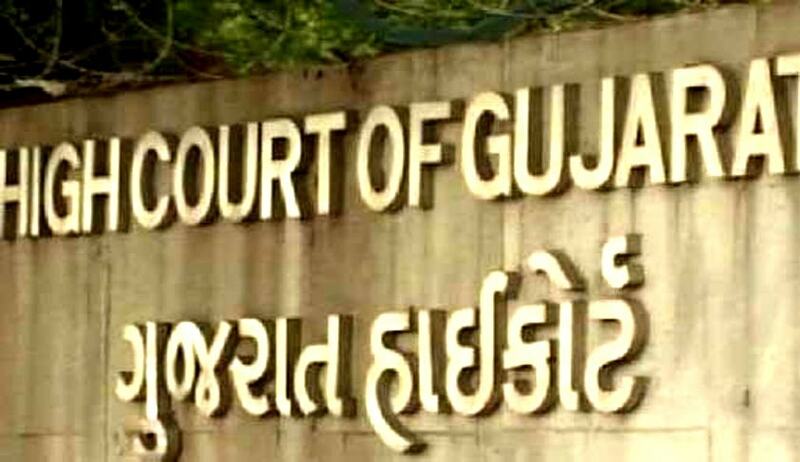 The Gujarat High Court (Ahmedabad) has dismissed the appeal filed by the appellant father in Faruq Ibrahimbhai Mulla v. Karishmabanu Anwar Hussain Qureshi, whereby he wanted the full custody of his minor son rehan. The bench comprising Justice M R Shah and Justice A.S. Supehia decided in favour of the mother (respondent) holding her to be the rightful guardian and the appropriate person to look after the needs of the child in question. In this case, the father/husband (appellant) Faruq Mulla works as an associate professor in the pathology department of pramukh swami medical college and the mother/wife (respondent) works as an engineer sd senior in institute for plasma research situated in gandhinagar. Thus, it can be seen that both the parents are well qualified and well educated persons. There were matrimonial disputes between the two, due to which the couple isn’t residing together, and the question of full custody of their minor son rehan arose. The family court after appreciation of evidences and statements recorded had decided in favour of the mother. The husband contended before the hc that the wife was working as an engineer and didn’t have much time to spend with her son, nor did her other family members, as they were all working. Whereas, he submitted that his father (rehan’s paternal grandfather) had retired and could easily look after the child. He also made the submission that he was financially better off than his wife and was already paying ₹10,000 to maintain his son in pursuant of the order passed by the competent court and also had more time to give to the child than his wife or wife’s family members. He demanded the full custody of the child instead of the visitation rights that the family court allowed him, of meeting rehan on every 2nd and 4th saturday from 3 pm to 5 pm at his mother’s residence. He alleged that the wife deliberately created such circumstances that didn’t allow him to meet his son. He wanted to be declared the natural guardian of the child under section 25 of the guardian and wards act, 1890. The wife/mother opposed these submissions saying that apart from the amount that the father paid towards the child’s maintenance pursuant to the court’s order, he didn’t do anything else to take care of this child. She presented before the court that not only had she ensured that rehan went to one of the best schools, namely mahatma gandhi international school (affiliated to cambridge university), but that she also took care of his dini talim at madresa, and also ensured that he was exposed to extra-curricular activities such as karate, speech therapy classes etc. She also pointed out that the husband also had a demanding job and thus, didn’t have enough quality time to spend on his child, adding that he wasn’t even willing to pay for the medical treatment of their child. Before reaching the decision, the court perused through the evidences presented and took note of the statement recorded of the child rehan, who categorically refused to stay with his father and paternal grandparents and chose his mother instead. While considering the issue of custody of the minor child, it was indisputable held that the paramount consideration is the welfare of the minor children which, in the present case, would be to continue the custody of the minor with the respondent mother. Dealing with the question of the wife not letting the father meet his son on the visitation days, as per contended by the appellant husband, the court said visitation rights always would be subject to convenience of the wife and minor son. It may happen that in a given case, the child on the holiday may be busy with other activities and/or work and in such an eventuality, the respondent wife might not be in a position to see that the appellant father meets rehan. That depends upon the facts and circumstances of the case and ultimately, the welfare of the minor child is the paramount consideration. Thus, after careful examination, the appeal against the family court’s decision was dismissed.